These are effective drills, but children always just think of them as fun activities. The name comes from the amount of time these quick drills take in class. The target language is embedded in a task. For example, you might ask children to repeat a question or sentence three times, then stand up, raise their hands, and shout Finished! Next, you might ask them to repeat the sentence, do an action, and clap three times before standing. Or you might have them whisper. Since it’s silly to begin with, children enjoy making it a race, to see who can speak the fastest. Ritsuko Nakata 6-second drill from Barbara Sakamoto on Vimeo. 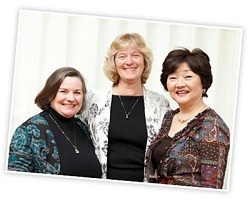 Ritsuko Kagawa Nakata was born and educated in the USA. 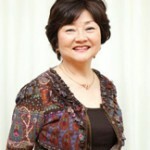 She has more than 30 years’ experience in teaching and specializes in training teachers of children in Japan. Having studied TESL in the USA, Ritsuko moved into an EFL environment, where she began experimenting with getting children to learn English in more practical, effective ways. She found that all students need to really ‘use’ the language to see how it works. This led her to develop her own method, called the MAT (Model, Action, Talk) METHOD, which uses unique techniques to get students confident in the Four Skills and speaking in natural English, rather than just repeating. Her method focuses on getting students to ask questions as well as answer them so that they can learn to start a dialog on their own, in addition to learning to read and write.